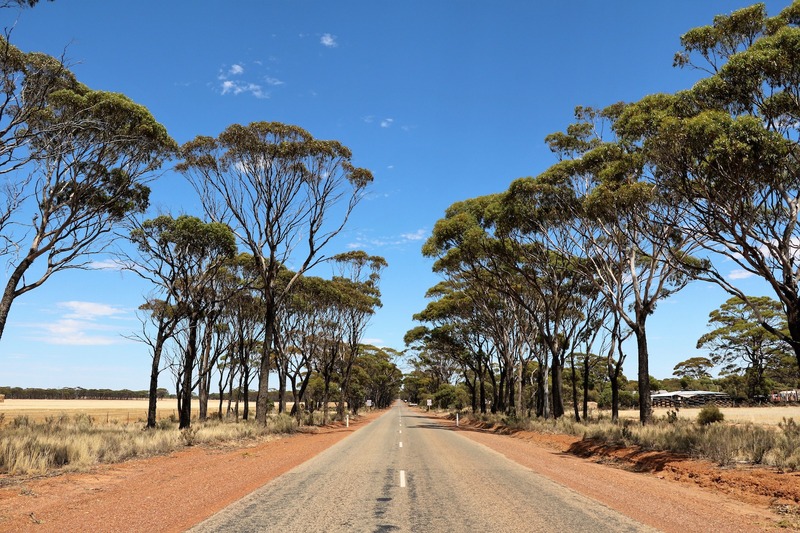 Drink in undisturbed stretches of wild, outback vistas on the self-drive experience of a lifetime: Western Australia’s Wheatbelt. Home to some of Australia’s richest biodiversity, Mother Nature steals the show in this region – and has done so for a not-to-be-sneezed-at 2.7 billion years. Ancient granite outcrops bend all preconceptions of physics, and thousands of wildflower varieties (a mind-boggling 60 per cent of which can’t be found anywhere else on Earth!) carpet the rust-red desert every spring. The town of Hyden is your launch pad to explore the iconic Wave Rock – the three-storey-high monolith so named because the granite looms in the shape of a thunderous wave about to break. Water has trickled down the rock face for millennia, dying the granite with lashings of marled red, grey and brown, which change with the sunlight through the day. Hippo’s Yawn and King Rocks are other not-to-be-missed geological marvels near Hyden. For a fascinating insight into Aboriginal legend, visit Mulka’s Cave, just 18 kilometres north of Hyden, to uncover the story of its former occupant – the monstrous man Mulka. Several excellent walking trails orbit Mulka’s Cave, leading to the Humps rocks. In the Wheatbelt’s east, Lake Grace is another must-visit destination for history buffs. This vibrant regional centre positively oozes outback charm, and creatively celebrates its storied past with attractions like the Mosaic Garden Gallery, which comprises 365 mosaic artworks that capture pivotal moments in the lives of community members past and present, and the Pioneering Women Mural, which was inspired by 48 extraordinary women who defied authorities and gender conventions to help shape a town that they could be proud of. The bond of community is tangible throughout the Wheatbelt’s farming towns, and you can count on the region’s signature country hospitality to brighten your trip. Down in the region’s south-east, make sure you squeeze Narrogin onto your Wheatbelt itinerary. The town boasts a hat-trick of stunning nature reserves right on its doorstep: Dryandra National Park, Foxes Lair National Park and Yilliminning Rock. Dryandra National Park is home to some of the more bashful locals, including the famous numbat, woylies, tammar wallabies, brushtail possums, tawny frogmouths, kangaroos and wallabies. In the heart of the Wheatbelt, Narembeen is a significant agricultural centre where cereal cropping, cattle and sheep sustain the town’s livelihood. Stop by for a glimpse into outback life, and be sure to squeeze in a visit to Roe Lookout along the Old Prospector’s Trail, around eight kilometres from Narembeen proper. North-east of Narembeen, the tiny Wheatbelt town of Dowerin packs a big punch each September when it hosts Field Days, the largest agricultural event in Western Australia with a 53-year history. This year, visit Dowerin on 29–30 August for your slice of the action. Dowerin is a fixture on many of the well-established heritage self-drive routes that the Wheatbelt has to offer.